Female-led cattle production is expanding across the nation, and the Mississippi State University Extension Service is helping to build a strong foundation for these women producers in the Magnolia State. Modeling North Carolina State University’s women-only cattle-handling workshop, Extension beef specialist Dr. Brandi Karisch organized MSU Extension’s first Cattle Handling for Women Producers workshop in April. Nine women attended 2 days of indoor classroom sessions reinforced by hands-on, outdoor opportunities to discover vehicles, equipment, handling, and calving. Instruction and activities emphasized Beef Quality Assurance, and participants developed networks that included fellow women cattle producers, as well as women beef specialists and agents. Karisch plans to offer the workshop again to women interested in cattle production in spring 2019. As more Mississippians turn to online platforms to access nutrition and cooking information, the Mississippi State University Extension Service now airs new episodes of its long-running television segment, The Food Factor, on digital media. Streaming on Facebook, Twitter, YouTube, and Extension’s own blog, Extension for Real Life, The Food Factor offers short, clear, how-to information and tips, and content is accessible across platforms and devices. Natasha Haynes, Extension agent in Rankin County, continues her role as host, delivering Extension’s research-based nutrition and cooking techniques, tricks, and recipes. Viewers can also enjoy The Food Factor in real time on Facebook Live, Fridays at 1 p.m. CST. New content is posted regularly, so sign up for updates from Extension for Real Life, http://extension.msstate.edu/blog, to stay in the know. 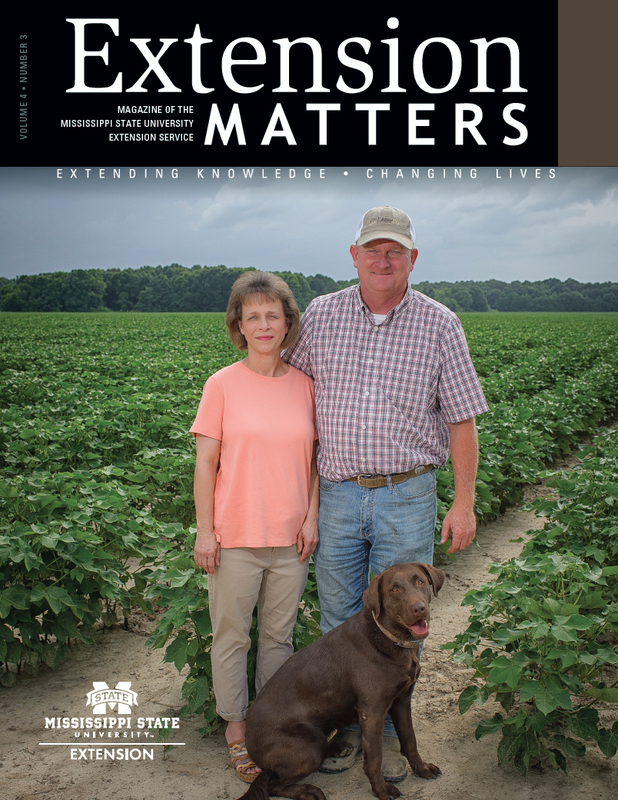 Two Mississippi State University Extension Service experts have contributed to a new book updating The Extension Worker’s Code. Dr. Eric Stafne, Extension fruit crops specialist, and Elizabeth Gregory North, head of the Office of Agricultural Communications, authored sections of We’ve Tried That Before: 500 Years of Extension Wisdom. Stafne wrote a section on collaboration and emphasized how being generous with time, knowledge, and resources benefits everyone. North’s section offers advice about working with the news media. The book is the combined effort of more than 30 Extension professionals representing 15 land-grant universities and spans 512 years of collective experience. The book is available online at http://bit.ly/2J5Nuxv. The Mississippi State University Extension Service recently launched HappyHealthy. This new digital resource and educational program teaches Mississippians how to choose and prepare foods in healthier ways and pass these customs down to the next generation. HappyHealthy offers quick and easy instructions on shopping, cooking, and sharing food traditions with other family members, including children. Participants learn how to plan meals and cook favorite foods while limiting salt, sugar, and fat. The program’s digital features include recipes and tips on food shopping, cooking safety, picky eaters, and proper measuring techniques. Online how-to videos demonstrate recipes and cooking methods, as well as what to look for when buying fresh fruits and vegetables. HappyHealthy is sponsored by the MSU Office of Nutrition Education and United States Department of Agriculture Supplemental Nutrition Assistance Program Education, also known as SNAP-Ed. Access HappyHealthy resources today at http://happyhealthy.ms.